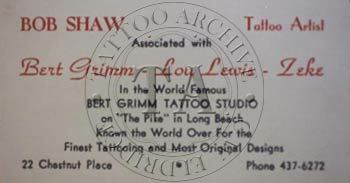 BBob Shaw was a beloved tattooist who, at the age if sixteen, had a full set of sleeves from Bert Grimm. Bob learned the art of tattooing from Bert, and after getting out of the United States Army in 1946 he went on to work with Jack Tryon, Earl Brown, Col Todd and many others. Following is a timeline of Bob Shaw's life. 1926 - Bob was born June 22nd. 1934 - The future Mrs. Wanda Shaw was born, February 13th. 1941 - Bob moved to St. Louis, Missouri to live with his older brother. Bob's first job was a dishwasher just around the corner from Bert Grimm's shop on Broadway. Soon Bob was hanging out at Bert's shop late in to the night and couldn't get up in the morning for his dishwashing job. When Bob was fired from this job, Bert gave him a part-time job helping Julia (Bert's wife) with their photograph business. Bob asked Bert to teach him tattooing and Bert said yes. By September 1941, Bob had done his first tattoo. 1942 - Bob was 16 years old and he already had a set of sleeves by Bert Grimm! Bob first met Milton Zeis in 1942 at Bert's shop. 1943 - Bob enlisted in the United States Army in October. 1946 – Bob was discharged from the Army in March. 1948- As Bob put it, "In 1948 I had the pleasure of watching Coleman work." 1949 - Bert got Bob a job in San Antonio, Texas working with Jack Tryon, who at this time was working out of a circus wagon. 1952 - Tex Rowe visited San Antonio and stated, "Jack Tryon was semi-retired and Bob Shaw was working his joint." 1958 - Bob worked with Earl Brown in Biloxi, Mississippi. 1959 - He worked with Col. Todd in Clarksville, Tennessee. 1960 - Bob moved to Hopkinsville, Kentucky to work with Col Todd. 1964 - Bob moved to Long Beach, California to work with Bert at the Nu-Pike. 1969 - Bob bought Bert's shop at #22 Chestnut, Long Beach. 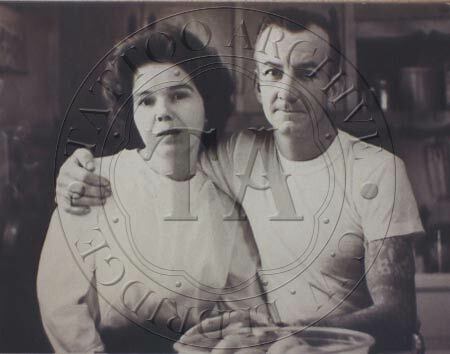 1972 - Larry Shaw, Bob youngest son, started tattooing at the Long Beach shop. 1973 - Col. Todd moved west where he and Bob Shaw took over management of Bert's Nu-Pike shop. That same year when Bobby, Bob's son got out of the Army, Shaw and Todd opened a shop in Santa Ana so Bobby and a new guy on the block Bob Roberts, could learn to tattoo. 1976 - Shaw and Todd bought Bert Grimm's San Diego shop. 1978 - Shaw and Todd bought Bert's Portland, Oregon shop. 1983 - The Shaw family moved to Aransas Pass, Texas. 1983 to 1988 - Bob was vice-president of the National Tattoo Association. 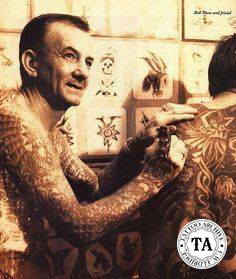 1989 - Bob Shaw was interviewed for Tattootime #5. 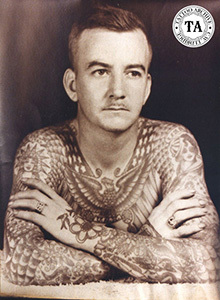 1989 to 1993 - Bob was President of the National Tattoo Association. 1993 - Bob died on March 17th. 2002 - Wanda died on April 26th.